A honeypot for bees and visitors. 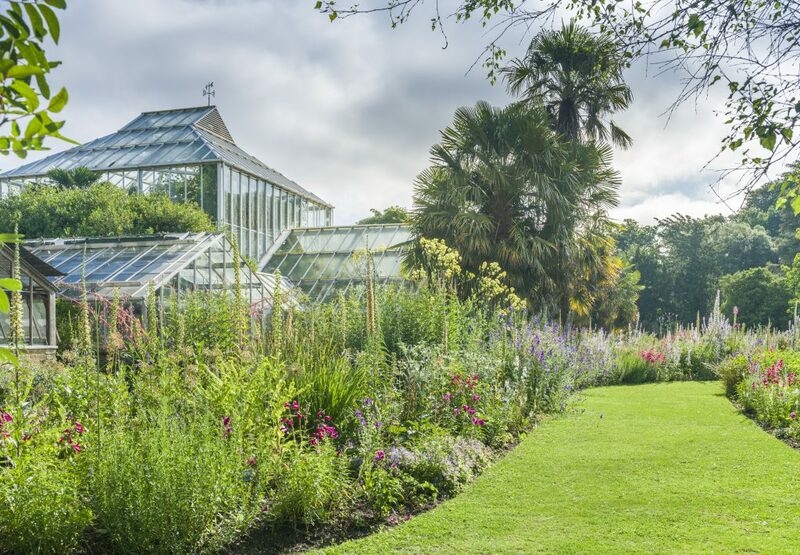 The beautiful double Bee Borders in front of the Glasshouse Range have been created with some of the flowers bees love best, and the plantings are dotted with foraging bees throughout the year. The Bee Borders comprise a diversity of form and colour, resembling cottage garden style, so also have great horticultural value. Bees visit flowers for food – nectar provides sugars for energy whilst pollen provides proteins essential for growth and development of larvae. Some flowers provide plentiful nectar, some provide lots of pollen, and some provide both. To ensure a steady supply of food for bees all season long our Bee Borders contain plants that flower from early in the bee foraging season (March/April) through until late in the autumn (around October). Outside this window most bumblebee and solitary bee species are in hibernation, while honeybee colonies can live off their stored honey. Perhaps the single most important tip for gardeners hoping to support bees in their gardens is to provide flowers from spring through until autumn. Of course, this also provides a long season of interest to the human eye. The colour scheme for the Bee Borders is mainly blues, mauves and violets with complementary yellows, as bees can see this part of the colour spectrum best. Bees can even see a colour invisible to the human eye called bee ultra-violet, which characterises many nectar guides. They, however, are unable to see bright red very well – one of the reasons red is absent from the planting scheme. The shape of flowers is also important to bee foragers – they have to be able to enter the flower to access the food supply. It’s also important that the food, particularly nectar, isn’t too easy for other insects such as flies and beetles to reach, so that the bees are guaranteed a reliable food supply. Many good bee plants have large, tubular flowers which are symmetrical along the vertical axis. 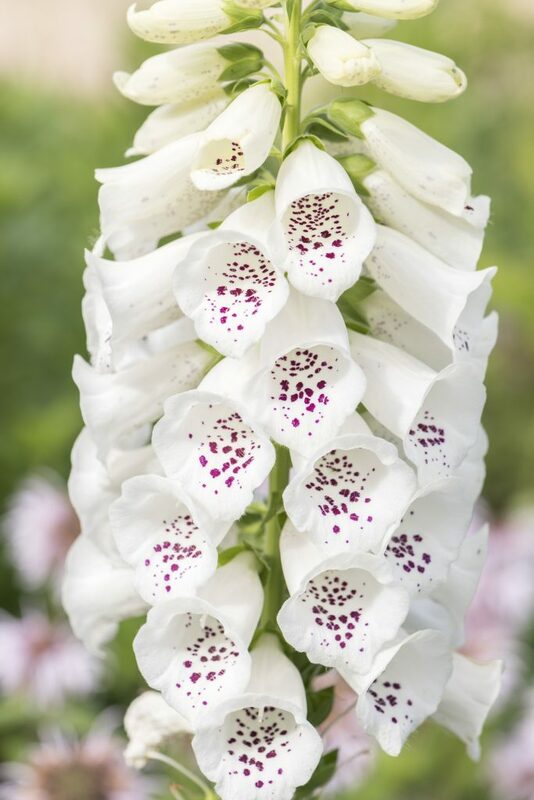 The lower petal is often lipped to provide a landing platform for the visiting bee, and this is also sometimes decorated with lines or spots, called nectar guides, that show the way to the nectar within, as can be seen in foxgloves (Digitalis purpurea). 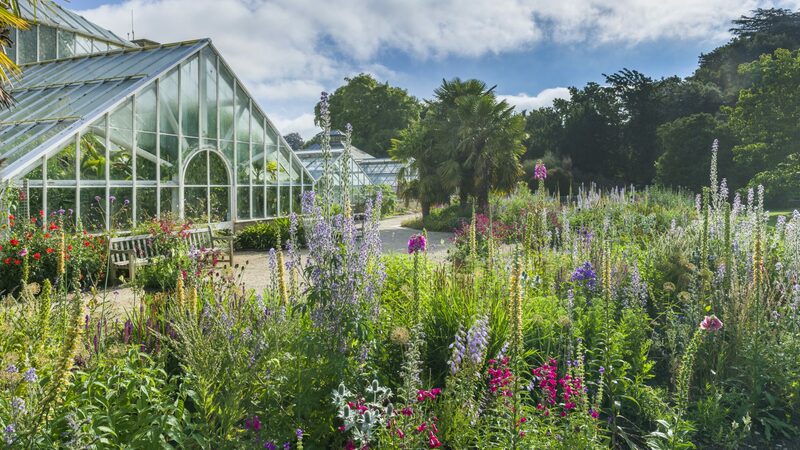 In our Bee Borders the foxgloves sit amidst an array of other bee-rewarding species, including our native viper’s bugloss (Echium vulgare), honeywort (Cerinthe major var. purpurascens), the cottage garden favourite, larkspur (Consolida ajacis), and the honey-scented Euphorbia mellifera. Wild bee populations are thought to be in decline worldwide due to a complex range of factors thought to include climate change, pests and diseases, and a decline in wildflowers and habitat due to intensive agricultural practices. And yet, bees are vital to our food chain as pollinators of crops accounting for about one third of our diet. Bees are essential to fruit-set in crops such as tomatoes, coffee, grapes, beans, apples and strawberries. They also ensure seed production for oils such as Rapeseed and sunflower. Most of the bee plants in the Bee Borders are readily available from garden centres, and many are straightforward to raise from seed. In the Understanding Plants area of the Botanic Garden you can see some annual bee beds, grown from simple “throw to grow” seed mixes. These showcase a much simpler way of supporting bees in your garden, although the results are less horticulturally attractive!